Software incompatibilities with new operating systems are depressingly common, but it's rare for a developer to release a warning statement well before the OS has actually been released. That's what Steinberg has done, though, announcing that, out of the box, none of its software products can be installed on the Apple's forthcoming OS X Yosemite. There is a workaround - and you shouldn't have any problems if your software is already installed and you then upgrade to Yosemite - but it's still an issue worth keeping in mind. 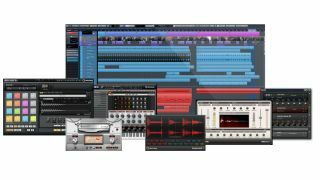 Will other DAW manufacturers encounter similar problems? We'll keep you posted. "As an industry leader, Steinberg Media Technologies strive to provide the best customer experience when purchasing and using our products. We therefore have chosen to communicate relevant results that have come to our attention directly with you, results that may be of your concern in the next months. "In light of the forthcoming operating system OS X Yosemite recently announced by Apple we have unfortunately identified an issue with our software. "The issue is owing to our current installer as implemented through the entire range of our software products. If you are planning to update to Yosemite this fall or to take part in the Yosemite beta-testing program, please be aware that our software products as are cannot be installed on this operating system. Current Steinberg software installed before updating to OS X Yosemite is not affected. "The solution we offer is a small software tool currently available as downloadable pre-release version from our website which will enable a seamless installation of our existing software range on the OS X Yosemite operating system. "Again, we recognize this issue may cause some confusion. I want to emphasize that the issue has duly been addressed and you can continue to use our software products with confidence on the upcoming operating system announced by Apple."